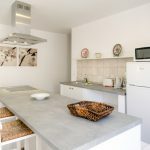 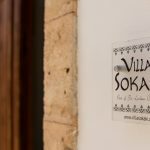 Named after the Greek word for a narrow village street, Villa Sokaki is located centrally within the village of Lindos and just a minutes’ walk from the lively bars and restaurants. 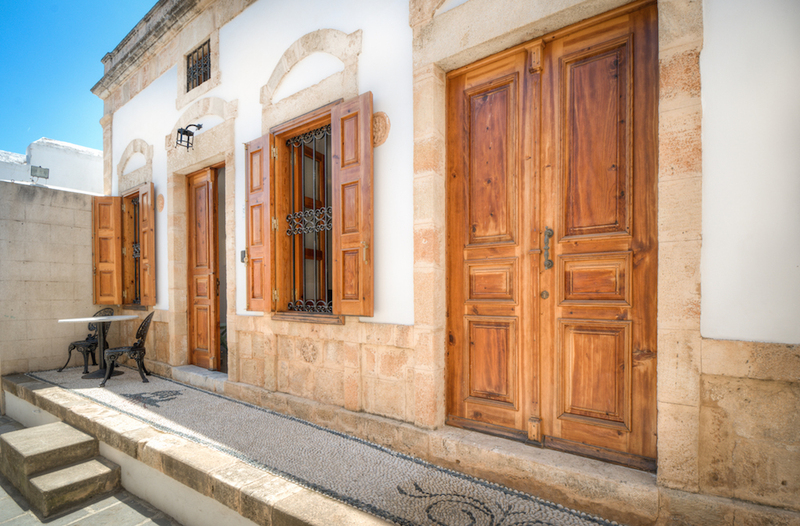 Situated in one of the quieter side streets, the Villa was built over 100 years ago and still boasts its original architecture and appearance. 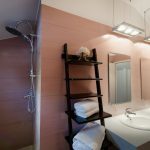 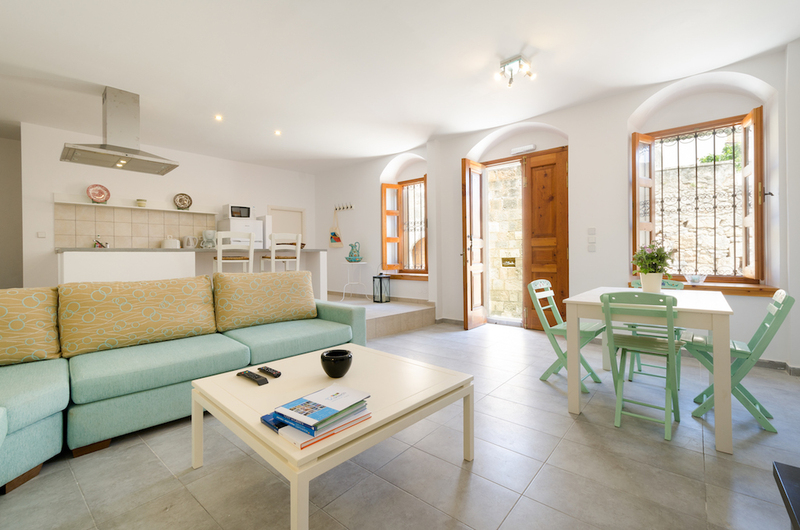 Now, newly renovated inside, Villa Sokaki is the ideal accommodation if you are searching for a modern, yet traditional Greek Villa. 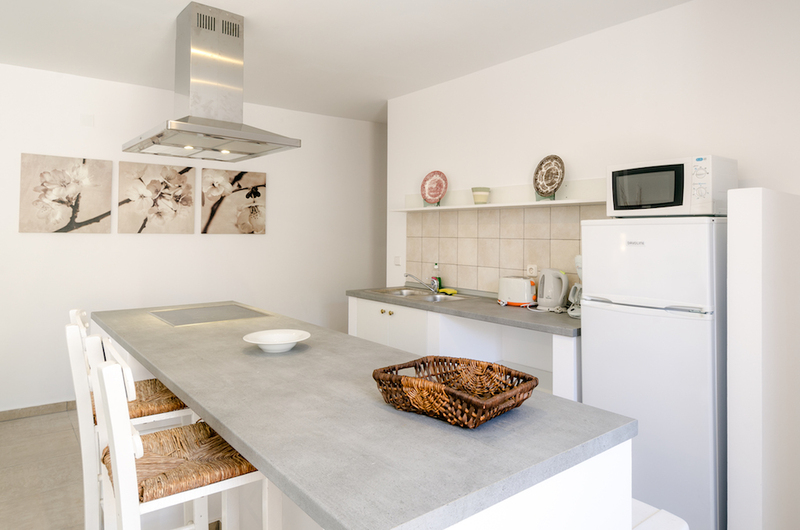 On the ground floor you will find an open plan living/dining area which is light and spacious, along with a fully equipped modern kitchen. 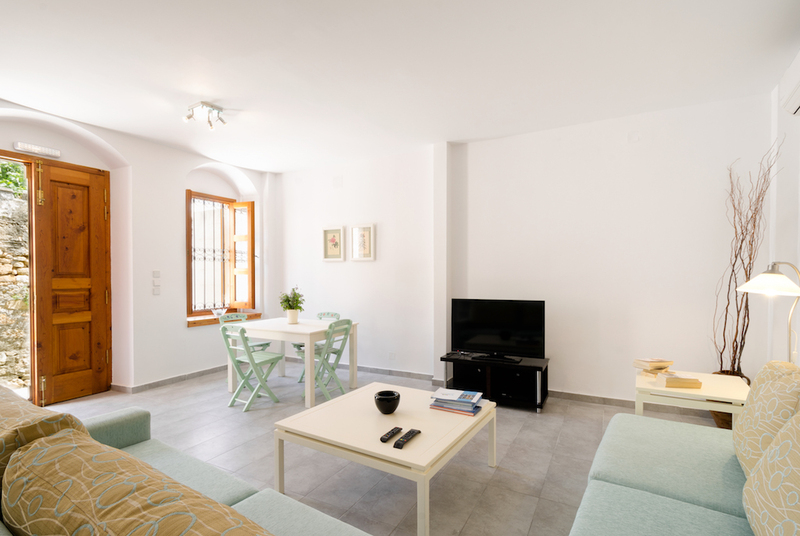 Upstairs consists of 2 bedrooms, the first with a double bed and walk-in wardrobe. 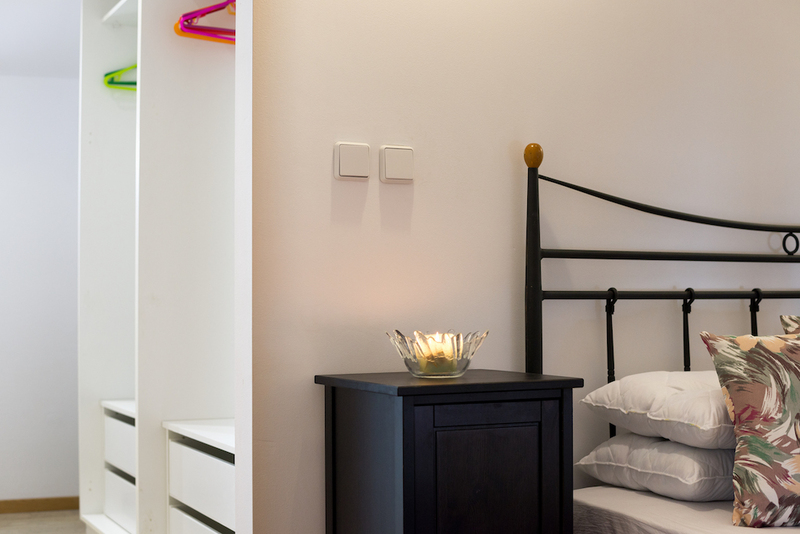 The second bedroom, equally spacious has a traditional Lindian bed with 2 single mattresses. 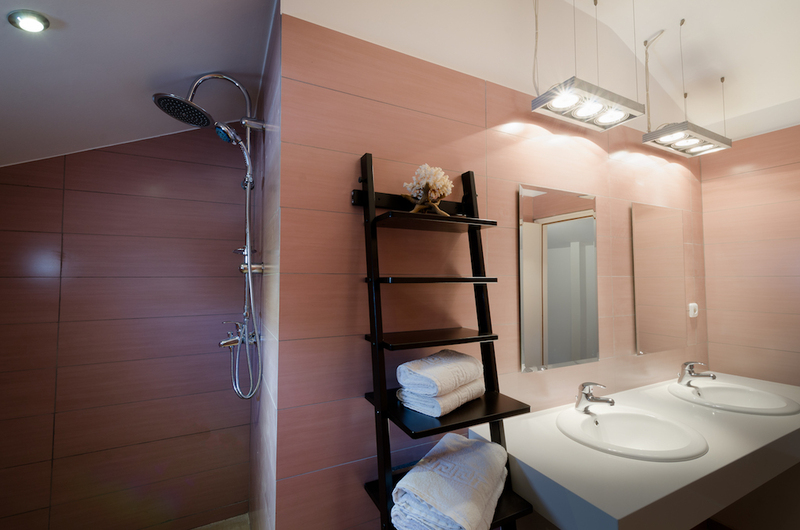 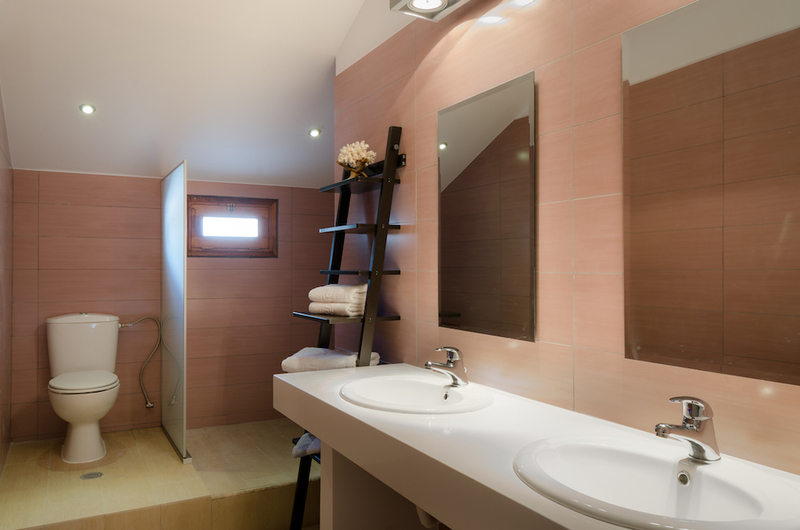 The bathroom has a walk-in shower and 2 wash basins. 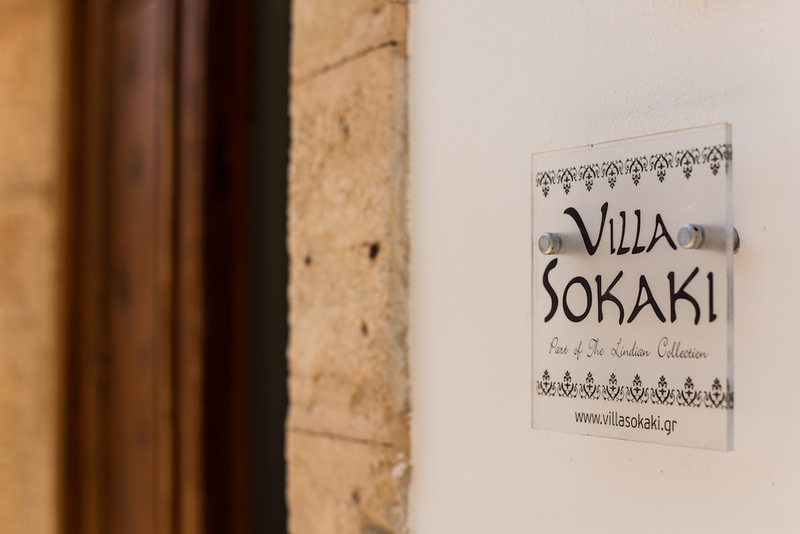 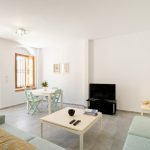 All rooms in Villa Sokaki have individually controlled air conditioning units and there is wi-fi throughout. 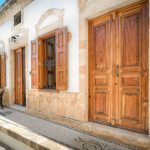 A small table with chairs sits outside the Villa enabling you to watch the world go by on the winding and narrow streets that Lindos is so famous for.